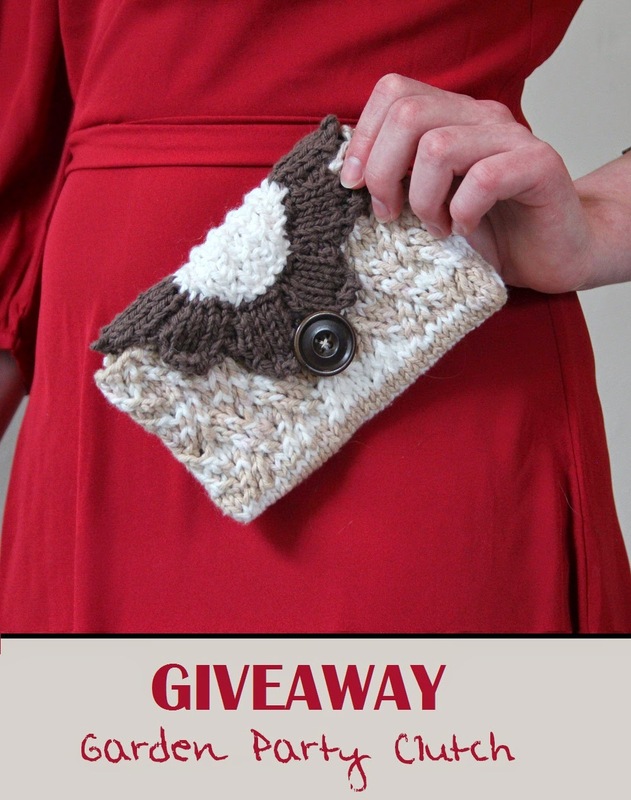 The Fuzzy Square is celebrating summer with a GIVEAWAY! Yup, I'm pretty pumped about it. This is a summer of many changes on my end, with graduation past and the future wide ahead. I'm moving around quite a bit, visiting family and friends, and I'll be traveling out of the country alone for the first time. It should be a great adventure; I'm enjoying the planning. And of course job research and applications are scattered on and around my desk. Many daunting unknowns, but many welcome possibilities. So, in the spirit of summer and the newness it brings, I want to hear from you! What's happening this summer for you? What's new? What's changing? Greet the warm seasons with a blossoming flower clutch, hand-knit with 100% cotton fiber. To enter, use the Rafflecopter entry insert below and make sure to leave a comment about what's new with you this summer. The giveaway entry timeframe ends midnight on July 4th. A winner will be randomly selected among entrants and announced on The Fuzzy Square Facebook fan page. I will then contact the winner and send the prize to an address of choice. Best of luck, and happy summer! I am working on a food truck that will be done soon! Our house will be refurbished by mid-summer (I hope!). I'm going to have 3 new great nieces or nephews toward the end of summer. We are going to be doing a ton of landscaping and outdoor work this year on the home! I'm such a garden girl! So garden party anything is amazing….but this clutch is just so pretty! My husband and I are moving to a different city in August! My daughter will start school! I will be riding my bicycle all summer. We might be trying for another little one!! Super Cute! I'm working on my own blog this summer! I am trying to eat and cook as much organic and local foods as possible. I plan to finally finish highschool! I got a new fence. I love it. My son just graduated high school, so this summer will bring new things as he looks for a job and gets ready to start college. This summer we are going to be doing a lot of camping. We bought a camper and we finally get to use it. I am going to an oversea summer camp, and hopefully experiencing a lot of new things! Been exercising and eating healthy for the first time. loving this feeling! My daughter is starting Kindergarten and I'm off looking for a new job! I actually started an adoption hope chest, and have started knitting a blanket and a dress to be ready for whichever children I adopt from foster care. I'm so happy about doing it! I'm working on loving myself again! After two children, (our daughter will be 4 in August and our son is almost 18 months old), I'm finally losing the baby weight and I'm actually really proud of myself! This summer we are moving my Mother to live with us in Fl and we are so excited to have her with us! This summer I am waitressing for the first time to try and pay for college in the fall! This summer my husband actually has weekends off! YAY! I finally convinced my husband to take up backpacking this summer. I'm SO excited! I am finally tackling projects in my yard! I'm working full time while preparing for a craft fair in August! I plan on getting a new job. just learned how to knit socks .. what a wonderful addiction it has become! I'll be moving to a new city this summer. I will be pregnant this whole summer. Please be not to hot this summer oh summer gods. Lol. I'm hoping to talk my husband into rescuing puppy #3! I recently stopped drinking soda! This is HUGE for me as I would nearly a two liter a day! I managed to make it through the headaches! My son will come for 2 weeks on august ! He lives in Paris , and I miss him so! We are having fun with our new grandchild! Scheduled to run a half marathon! My nephew is visiting for an entire month!